The final season of Glee hasn't started yet, but Mr. Schuester just booked a major post-Glee job. The final season is expected to air midseason — so early 2015 — and will conclude the entire story of a small town glee club from Ohio. Most of the original cast members are expected to return to Lima, where the show takes place, including everyone's favorite glee teacher. 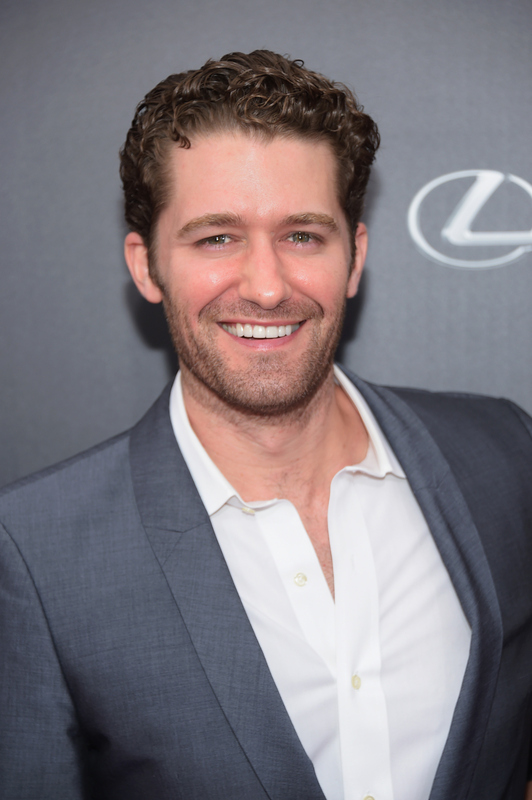 But once Glee ends, Mr. Schue has big plans, as it was announced Monday that Matthew Morrison will star in Finding Neverland on Broadway starting in March 2015. Glee has opened many doors for the stars of the show. Some of them have gone on to record albums, some have written books, others have starred in movies. Morrison, while becoming more publicly known for his role as the fictional club mentor, was actually an incredibly successful Broadway performer before he landed the role on Glee. In 2002, Morrison originated the role of Link Larkin in Hairspray, when it came to Broadway — Zac Efron played Link in the musical movie years later — and Morrison was also nominated for a Tony Award in 2005 for his role in The Light In The Piazza. Post Glee, Morrison will play J.M. Barrie, the creator of Peter Pan in the upcoming musical Finding Neverland. The musical was a movie in 2004, starring Johnny Depp as Barrie. It is exciting to see that Morrison has landed such an incredible job post Glee. Here are four videos to prove that he is the perfect person for the job. Morrison as Link Larkin in Hairspray is the perfect combination, sorry Efron. We might not be used to seeing Mr. Shue in this light, but he certainly carries it well. Combo "Let It Be" and "Hey Jude?" Yes, please. Despite the alternate versions of the story and the character out there, there's no doubt that Morrison will make Barrie his own. If you actually expect to do well on Broadway, you need to be able to be amazing live and not just amazing in the studio thanks to autotune. I think it goes without saying — but I'll say it anyway — that Morrison needs no autotune or fancy studio dressings. "Works well with others" is an understatement. Morrison has performed with a ton of talented guest stars throughout the run of the show, but, in an earlier season of Glee, Neil Patrick Harris himself made a guest appearance. The two forever changed how you'll listen to this song, so I have no doubt that Morrison's Finding Neverland stint will be the best thing ever.